Covering Kingdom Hearts Ancient Lore and the game Birth By Sleep! Kingdom Hearts III is finally out!! and it’s been a long time coming too. Unlike most releases, this one is in quite a peculiar situation. As many, especially those who are to experience KH for the very first time, may get lost with where the story is and what’s already went down. 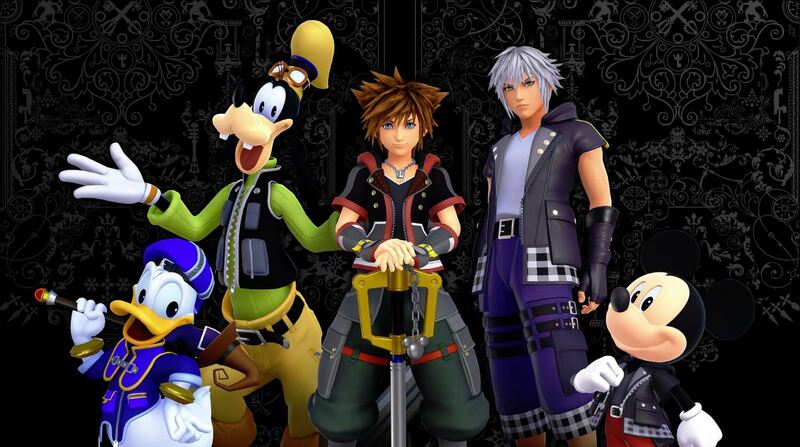 Many fans who had played the core installments (Kingdom Hearts 1 and 2) will find that these games wont even scratch the surface of the story line as Square Enix released a series of spin-offs on various other platforms during the main story’s 12 year “hiatus” that contained vital information to the franchises lore and plot. So many and twists and turns have been added. Fear not, KH fans, as we are here to try and give you a rundown of the story and timeline so far (as it’s actually no small task to do). In an attempt to cover all the games, we need to break this up. This is the first article in our series, and we’ll cover the lore behind the game as well as BIRTH BY SLEEP. So here we go! How did Kingdom Hearts Lore Begin? Once upon a time, there was a portal of light in the sky called Kingdom Hearts, the source of all light. This light was precious, so a man that went by the name Master of Masters created its protector, the X-blade, which was basically two keyblades that were forged together in the shape of an X that had immense power. He foresaw a devastating battle in the near future, so he gathered his five apprentices, the Foretellers, appointing them to different roles to help against the approaching darkness. Each received a keyblade of their own, but his apprentice Luxu was not only given a keyblade but also given a mysterious black box. Luxu had an idea of what was inside, but was instructed not to open it. Feeling like his responsibilities were put into rightful hands, the Master of Masters left. Not long after, one Foreteller, Ira, discovered something called a ‘nightmare’, which brought panic to the group speculating that there was a traitor among them. As tensions rose, they quickly realized why their master had left so suddenly- this was his intention all along. 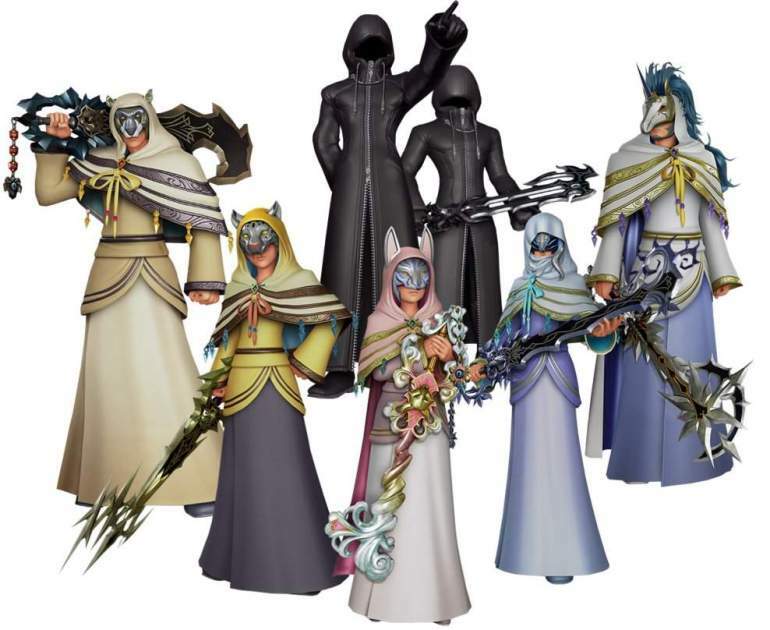 Foreteller Eva gathered together a group of Keyblade warriors to resist the growing darkness, but instead of making them their army, Eva gives them the name ‘Dandelions’ and tells them to go into hiding. Tensions rose even further between the unions (basically, the groups of teens that served under each Foreteller) and the Keyblade War broke out. At the end of it all, the prophecy they fought so hard to prevent was realized by their own hands. The Keyblade War claimed the lives of thousands including the Foretellers themselves. These events causes Kingdom Hearts to get trapped in a deep darkness. As this happened, the X-Blade shatters to pieces – 7 of pure light and 13 of pure darkness. This world begins to break apart, its pieces being scattered throughout the galaxy creating other worlds. 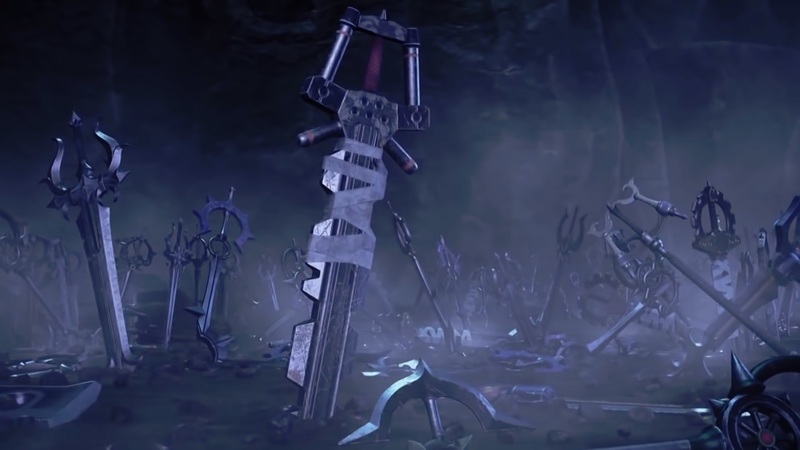 The remaining piece of this world houses the keyblade graveyard, a memorial of all who were lost in the war. The remaining Dandelions that survived stayed to rebuild the unions and what was left of this world. Fragments of the world are then used to create separate independent worlds. Years after the Keyblade War, we are taken to Destiny Island where a young Xehanort is approached by a mysterious figure who claims to be Ansem from a future time. 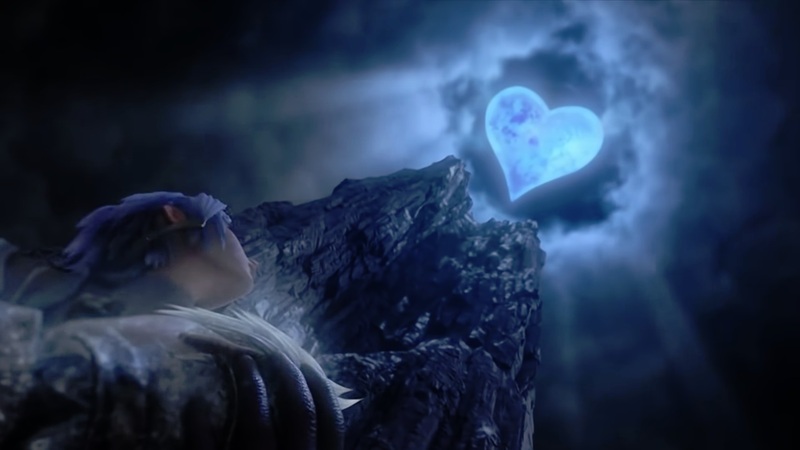 Ansem is the first incarnation of what is called a ‘Heartless’, an accumulation of the darkness in a person’s heart. He grants Xehanort the ability to time travel and implants the idea into his head to become a keyblade master so he can gather 13 vessels that will contain fragments of his own heart. Ansem immediately erases any memory Xehanort has of this meeting, which only leaves him with the idea of carrying the mission out. Xehanort travels to the “Land of Depature”, a training ground for those who want to master the weapon. He trains alongside his friend and fellow classmate Eraqus who has differing opinions of how the darkness should be handled. Eraqus believes it should be destroyed, while Xehanort believes that it can be controlled by balancing it with the light. 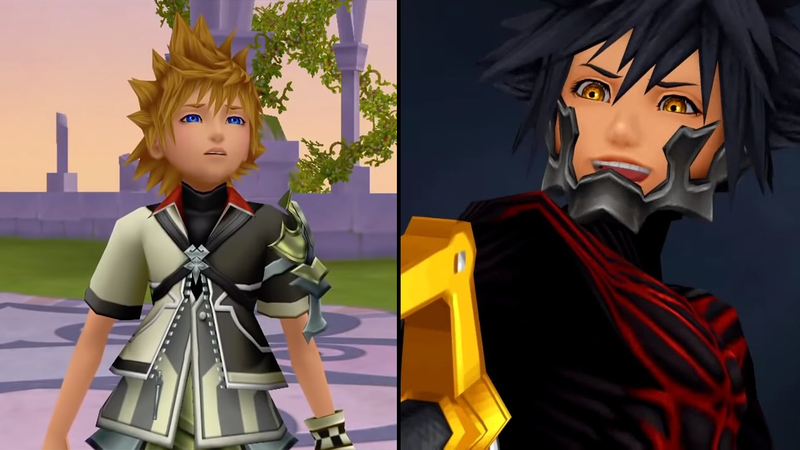 When the two grew older, Xehanort took on a new apprentice by the name of Ventus with the intent of using his body as a vessel to transfer his heart into as Xehanort has grown old. Ventus is actually too weak / pure-hearted to use making it impossible to contain the darkness of Xehanort. He then creates another being from the very little darkness inside Ventus. This leads to the creation of Vanitas, but in doing so he creates another being called the “Unversed”, which are those who are not well versed in their own existence. Ventus is brought to Destiny Island to die, but his broken heart is awakened and healed by a newborn baby named Sora. After his heart was mended, Ventus returns and is sent by Xehanort to Eraqus to be trained in the art of light with his two other apprentices Aqua and Terra. Despite his first failed attempt, Xehanort observes and later becomes convinced that Terra is equipped and is strong enough to be his next vessel. Xehanort proceeds to manipulate Terra to open up his heart to the darkness more and more. 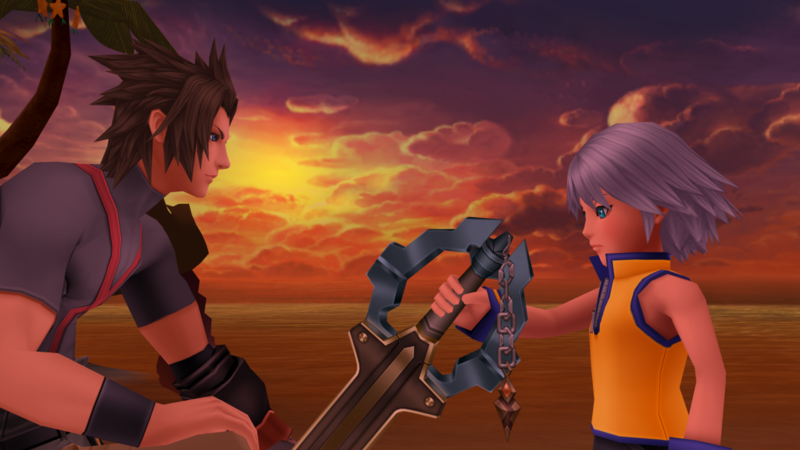 It’s during this time that Terra takes a little trip to Destiny Island,where he meets a young Riku, who ends up touching Terra’s keyblade. This “ceremony” allows the keyblade to imprint on a new master, ultimately choosing Riku as a keyblader when he gets older. A similar situation happens at Radiant Garden with Aqua when she meets a young Kairi, with her keyblade also choosing Kairi when she gets older as well. As for Ventus, he’s got bigger fish to fry as Eraqus tries to kill him to prevent him from being used by Xehanort to resurrect the X-Blade to re-open kingdom hearts. Terra and Aqua shows up and stops this conflict. They go to the keyblade graveyard where 1) Xehanort takes overs Terra’s body to become Terra-Xehanort and 2) Vanitas merges with Ventus and the X-blade is successfully restored which opens kingdom hearts once again. 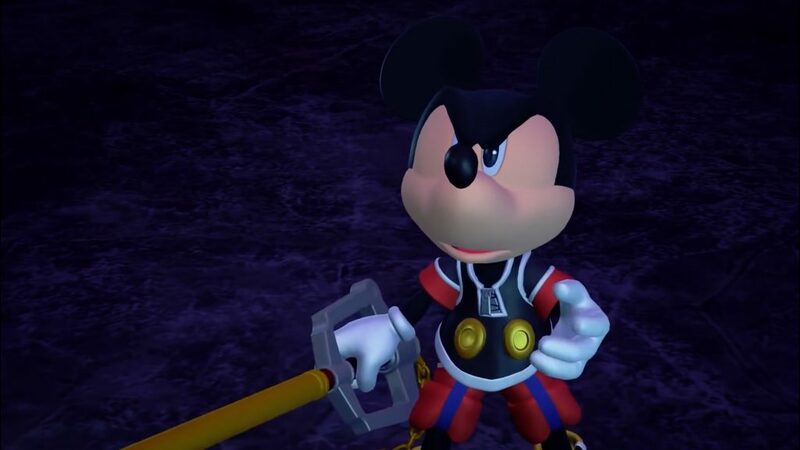 Due to this, Ventus loses his heart, and Aqua and King Mickey, another apprentice at the time, bring him to a mysterious tower where they meet Yen Sid, a retired keyblade master who trained King Mickey. To save Ventus, Aqua goes to the land of departure to seal its keyhole. It is here that this world turns into “Castle Oblivion”, a key location for the storyline going forward, and Aqua keeps Ventus’ body in a room called the “Chamber of Waking” for safe keeping. Aqua now goes after Terra-Xehanort in Radiant Garden and they fight which sends Aqua to the “Realm of Darkness”, a place that does not adhere to any sort of timeline, and is left to roam aimlessly. Xehanort is having difficulty with his Terra vessel as there seems to be resistance from Terra’s heart which causes Xehanort to lose his memories. As for Ventus’ heart, it eventually finds young Sora and takes solace within him for safe keeping. A year passes and we find Xehanort in Radiant Garden as an apprentice for Ansem the Wise (aka real Ansem) with another character named Braig. Both try to convince Ansem that it is in his best interest to study what will eventually become the heartless. When he refuses, the two start creating Organization XIII, and brandish Ansem into the Realm of Darkness. Xehanort takes his identity and uses the hearts of his apprentices to create the heartless and the nobodies, shells of their former selves. 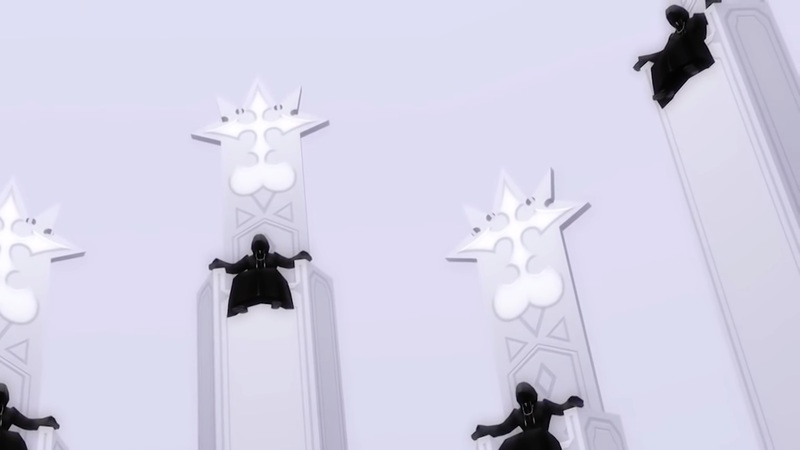 Using the power of the heartless, and as both heartless and nobody himself, Xehanort unleashes his army upon other worlds in an attempt to create an artificial kingdom hearts. His new nobody version of himself Xemnas gathers other nobodies to create Organization XIII. Real Ansem is still out there, taking on a new identity and renaming himself Diz while studying these new creatures in an old mansion in Twilight Town. That is the first installment of our recap series! Keep your eye out on the next two articles, as Kingdom Hearts III is upon us!